Hello pretty people! How is everybody doing? The product I am reviewing today is the last product from my first Diva Likes haul. My first set has not even finished yet and another wonderful haul from Diva Likes has already reached me. The reviews of the next set will soon be pouring in. In my first haul, I had received two sunscreen lotions. One is VLCC Sweat Free Sun Block Lotion and another is Aroma Magic Carrot Sunscreen Lotion which I am going to review today. I have always been head over heels in love with Aroma Magic products. There has never been a single product from this brand which has disappointed me. In VLCC Sun Block Lotion review, I had mentioned how much it disappointed me and gave me breakouts. So getting one more alternative in the haul was very much relieving. As I have always loved Aroma Magic products, I had this strong instinct inside me that this sunscreen lotion will not let me down. So do take a look at the review to know how it is. I am 100% free of oxybenzone, paraben, harsh chemicals, alcohol and artificial fragrance. My all mineral, super light formula creates a physical barrier between you and the sun. I am non greasy, skin friendly and enriched with carrot seed, sea buckthorn and rice bran oils. They provide natural sun safety. Vitamins B5, C, E and prevent visible signs of ageing, Notes of lavender, chamomile and myrrh essential oils moisturize, soothe and protect your skin. The non-nano Zinc Oxide in me is a mineral reflector found in nature that scatters harmful rays. Carrot extracts fortify skin cells and provide smart sun protection. Knead the tube with your hands and give a good shake as natural ingredients tend to separate. Apply me generously 15 minutes before sun exposure for desired protection. Use 1/2 a tsp, to protect your face and 1 tbsp to cover skin from head to toe. Follow up with a moisturizer. I am perfect complement to your daily makeup routine too. Let me start describing my experience with this product in just a single sentence - this is the best sunscreen I have used till date. I am not exaggerating anything but yes, this is the best sunscreen I have used and will remain my HG product. The product comes in a very cute carrot red colored tube with the prints of umbrellas, slippers and everything related to a bright sunny day which is when you need your sunscreen the most. It has a white flip flop cap which is quite tight. 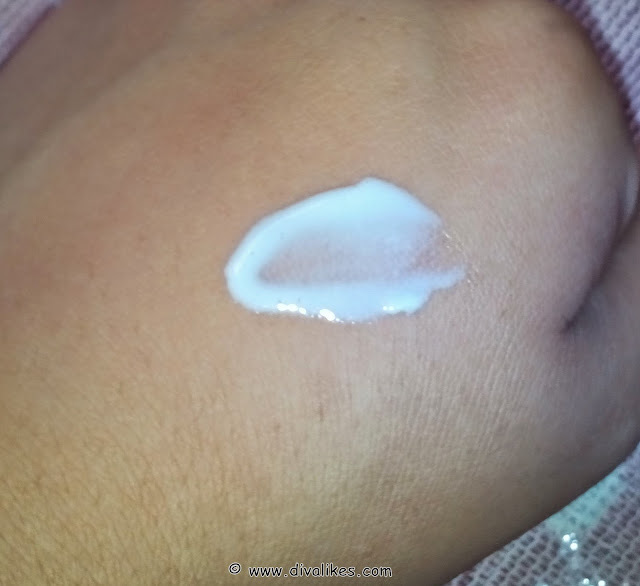 The sunscreen lotion is white in color with a runny texture. You need to knead the tube to make the consistency a little even and thick. The smell of the lotion is completely herbal. It has a faint sweet smell which does not overpower. Due to the runny texture of the sunscreen, you just need a very little amount. Once blended well, it absorbs like magic. It has been advised that it is suitable for normal to dry skin but even for my combination skin it blends perfectly. I do not even feel like I have applied something on my face. The lotion is very light and non-greasy. I just set it with a loose powder and it gives a fresh dewy look to my face. So it is a 10/10 when it comes to the non-greasy part. Coming to the sun protection, it does work on it pretty well. When I used to come back home after a day out, my skin used to look 2-3 shades dark as the weather here in Kolkata causes lot of tanning. But ever since I started using this sunscreen, I still find that glow on my face and it does not look as dark as before. The lotion contains zinc oxide and carrot which helps protect the skin from harmful sun rays. I wish it had a little more SPF so that it could protect me all day. But with SPF 15, it provides me such amazing results that I don't mind reapplying it. Moreover, it never gave me breakouts. I am very much in love with this sunscreen and I have made it my best companion. Lovely packaging and affordable price tag. Totally non-greasy and gets absorbed very well. Does not give any breakouts. Gives a natural glow and protects from skin darkening. Contains zinc oxide and carrot which help protect the skin from harmful sun rays. There is no question of any cons after experiencing its amazing qualities. This is definitely the best sunscreen I have ever used. It is completely non-oily and absorbs like a dream. It also protects the skin against darkening and gives a light dewy flush. I definitely recommend this sunscreen to everybody as it is quite affordable too. 5/5 no wonder you loved it so much....cant wait to try! You seem to be totally bowled over by this product, Divya. 5/5 that's rare! Would like to try it out. this sounds like a great value for money. very well reviewed sweety! yes Meghna i rarely give full marks to a product..this is indeed deserving..
Wow, sounds like a great product & at such an affordable price! Thank god ! I was very upset b4 reading ur review bcz sm1 else review it so badly dt one has to through it out instantly, I was not satisfy with the review bcz I brought the cream yesterday and I used it today I felt so good on my skin any ways I am Happy now after your review thank you sooo much.